Preserving the little-known stories of the 1916 Rising & War of Independence as a resource for all. 'Stories from 1916' is an online portal for the collection and presentation of stories of the participants and living relatives of all those involved in the 1916 Easter Rising, and subsequent War of Independence in Ireland. There are vast numbers of little-known individual accounts of the ordinary men and women who played their part during Ireland's revolutionary period, from 1913 to 1923, and a wealth of previously unseen archive material held by their living descendants. By engaging with relatives and presenting photographs, video, audio and text we will chronicle and preserve vital stories as a resource for all. 'Stories from 1916' is a non-profit entity with 501(c)(3) status in the United States. 100% of all donations received go straight back into the project, helping us to tell more of these incredible stories. We hope that you enjoy exploring this online portal and always welcome any feedback that you may have. Please contact colin@tilemedia.ie with any feedback, suggestions, or just to say hello! Irish-American activist Mae Manning receives a ticket during a protest outside the White House in 1920. We're delighted to announce that the next phase of the Stories from 1916 project is now underway. 'Revolutionary Irish America: 1913-1923' will explore the role of Irish-Americans in Irelands revolutionary period. The huge role that Irish-American organisations and individuals played in the 1916 Easter Rising and subsequent War of Independence is too often overlooked in conversations and historical studies of the time. Without the financial, political and organisational support coming from groups like Clann na Gael in the United States, Ireland could never have hoped to gain independence. There are many fascinating stories that make up this wider narrative, and we are excited to bring these to life as never before. Over the course of 2017, we will be sharing these stories in many forms, including mini-documentaries and podcasts, and will be engaging with communities on both sides of the Atlantic Ocean to help us to do so. Watch this space! During the 1916 Rising, John S. O'Connor commanded a small group of Irish Volunteers manning the barricades on May Lane, beside the Jameson Distillery. Their week started slowly, mostly dealing with disgruntled citizens and postal workers who wanted to pass through their position. However, by Thursday of Easter Week, they were coming under heavy fire from British sniper positions. Here, his daughters Eileen and Patricia, and grandchildren Mary and Pat, tell his story. Born in 1897, Patrick Hugh Holahan was only 18 years old when, as 1st Lieutenant of the Sluagh Emmet, he led a small group of Fianna Éireann boys in a raid on the Magazine Fort in Phoenix Park, the first engagement of the 1916 Rising in Dublin. He subsequently joined up with Ned Daly's 1st Dublin Battalion of Irish Volunteers, stationed near the Four Courts, and was amongst the last of the Volunteers to surrender after the fighting. Here, his story is told by his son Seán and grandsons Paddy and Ciaran. The Connolly's have a long history of involvement in the struggle for Irish independence, stretching all the way back to the 1798 Rebellion. 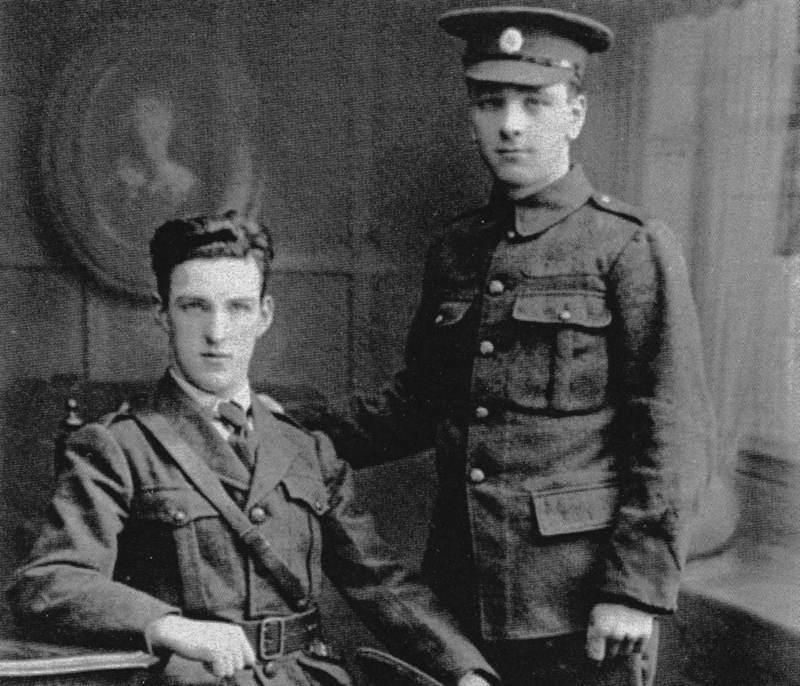 As members of the Irish Citizen Army, three brothers and one sister took part in the fighting during Easter week 1916, with Sean Connolly paying the ultimate price when he was shot by a sniper on the roof of City Hall. Their story is told here by Mike Connolly, son of George, and Sean's grandson Éanna Ó Conghaile. Tom Walsh and his brother Jim were two of only four men to make it out of Clanwilliam House alive after the Battle of Mount Street Bridge. Here, Tom's daughter Aileen and granddaughter Catherine tell of their role in the fight for Irish freedom and how it affected them in later years. Irish Volunteer Patrick Rankin cycled from his hometown of Newry to the GPO in Dublin to take his part in the 1916 Easter Rising. His daughter Patsy and grandson Joe tell his story. Williams Rossa Cole, the great-grandson Jeremiah O'Donovan Rossa, discusses his famous relative and his own journey of discovery while making a documentary on the life of one of Ireland's most revered Fenians. Tommy O'Connor was the IRB's Trans-Atlantic courier during Ireland's revolutionary period. In the lead up to the 1916 Rising, and throughout the War of Independence, Tommy carried vast sums of money raised in America back to Ireland to fund the revolutionary war and many coded messages between the Irish leadership on either side of the Atlantic. During the Rising, Tommy and his brother Johnny fought under the command of Ned Daly in the Four Courts area of Dublin. His story is told by his son Tommy and grandchildren Ellen and Tommy. The title, "A Courier's Tale", is taken from the book "A Courier's Tale: A Biography of Thomas D. O'Connor", written by his grandson Tommy Vogt. Chris Shouldice, son of Irish Volunteer Jack, tells the story of how his father came to own the captain's table from the HMY Helga. While the Helga was shelling Dublin during Easter Week, 1916, Jack was on the other side of the action commanding the men who took over 'Reilly's Fort' on North King Street.